?Who pays for my medical treatment after a pedestrian accident? ?Who is at fault if a senior is struck while crossing the street? ?What are the biggest considerations that can affect my pedestrian accident claim? If you have questions after getting hurt in a pedestrian accident, you are not alone. In this section of our website, our experienced pedestrian accident lawyers in Nashville answer some of the most frequently asked questions from clients in straightforward and easy-to-understand language. If you don’t see the answer to your question here, you can also contact our office directly at 877-959-8847.
Who pays for my medical treatment after a pedestrian accident? After you have been struck by a car while walking or cycling, you are unfortunately at the beginning of a long and arduous journey. The injuries sustained in these kinds of accidents may be extensive, and healthcare providers are going to want payment for your medical bills as quickly as possible. While you may win compensation for your medical bills and other damages in an injury lawsuit, it can take months before the matter is resolved—what should you do in the meantime? Tennessee subscribes to the “fault” system for car accident injuries, so the person who caused the accident is legally liable for paying for your medical bills and other losses related to the crash. This means you will file an insurance claim with the at-fault driver’s insurance company, and the insurance company should pay the hospital bill. However, this does not always go smoothly. One of the biggest problems pedestrians encounter is that their injuries can cost tens of thousands of dollars, and may exceed the limit of insurance purchased by the driver. If the injury costs more than the maximum coverage limit, the victim will have to collect additional coverage through other sources. Their own health insurance. It is important that you see a doctor right away, both for your health and for the success of your injury claim. Don’t be afraid to pay bills using your own health insurance. These costs can always be recouped later when your claim is settled. Their own auto insurance. Tennessee law requires injury victims to exhaust the other driver’s car insurance coverage before collecting under their own. There is an exception for hit-and-run accidents, since the victim will likely be unable to make a claim with the at-fault driver if he or she is never located. If your car insurance policy includes uninsured motorist coverage, it may be used to cover your expenses for injuries even though you were not driving at the time of the accident. MedPay. Medical Payments coverage, or MedPay, is an optional form of insurance that is offered in addition to your own car insurance. It is up to each policyholder whether he or she will purchase MedPay, as well as the amount that will be provided after an accident. However, you must have it in advance of a collision in order to collect. Medicaid. If you don’t have health insurance and you do not own a car, you may qualify for medical coverage through Medicaid. This federal health insurance program that provides medical coverage to patients without employer-sponsored or private health insurance. If you qualify, Medicaid will pay your medical bills going forward, and could be used to pay some of your past bills. You can check the requirements and apply for coverage through Tennessee’s Medicaid program. A third party. There could be someone else whose negligence played a part in your accident. If you were struck by a drunk driver, you could have a case against the restaurant that over-served alcohol to the driver. If the car that struck you malfunctioned due to bad brakes or a stuck accelerator pedal, the auto manufacturer could be held liable. An attorney can investigate the accident on your behalf and tell you who can be named in your injury lawsuit. A pedestrian accident is painful and debilitating enough without adding the financial consequences of the accident onto the victim. Our injury attorneys will fight to get you the maximum amount of compensation you deserve after a crash, and we do not collect anything from you until after your case is won. Simply fill out the short contact form on this page or request a free copy of our book, The 10 Worst Mistakes You Can Make With Your Tennessee Injury Case. What Do I Need To Prove To Win My Car Accident Case? Why Won't My Primary Care Physician Treat My Car Accident Injuries? Who is at fault if a senior is struck while crossing the street? Cities pose many dangers for pedestrians, particularly for older citizens. According to a recent study reported by the American Association of Retired Persons (AARP), car accidents caused 47,025 pedestrian deaths nationwide between 2003 and 2012—and although people over age 65 years account for only 13 percent of the population, they make up 21 percent of pedestrian deaths nationwide. 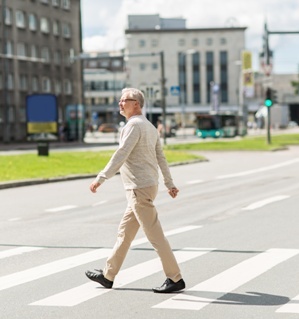 Why Are Older People More at Risk of Pedestrian Injuries? By far, the biggest cause of pedestrian accidents for people of all ages is inattentive drivers. Careless driving can include activities such as disregarding stop lines, turning in front of pedestrians who have the right of way, and running red lights. Accident rates increase even further if a driver is distracted by a cellphone or is driving under the influence of drugs or alcohol. According to the Centers for Disease Control and Prevention, 48% of crashes that resulted in pedestrian deaths in 2015 involved alcohol use by the driver or the pedestrian. Roadway design. Cities are not always designed for the benefit of people traveling on foot. While streets and thoroughfares account for the needs of drivers and cars, pedestrian safety is often treated as an afterthought. Roadway designers and local municipalities may be held liable if the pedestrian crossing was obstructed, if the conditions did not have safety measures such as islands and raised medians, or if there was not sufficient lighting to allow drivers to see the pedestrian for the full crossing. Short signals. People undergo many changes in their bodies as they age, and one of these is an inability to move as quickly as they did in their youth. Not only does it take longer for many senior citizens to cross the street, lost mobility makes them less likely to dodge an oncoming car or get out of the way of a speeding bicyclist at the last minute. Older people are also more likely to suffer vision problems and have difficulty hearing, placing them at risk of entering traffic when it is not safe. Jaywalking. Although pedestrians are supposed to cross at designated crosswalks, many cross mid-block or at an angle. Some elderly people even choose to jaywalk in order to avoid busy or dangerous intersections, or to give cars more time to see them. Elderly people may be seen to be at fault for jaywalking, even if their crossing point was a conscious choice to help avoid an accident. Urban roads. The majority of pedestrian fatalities occur in urban areas and involve vehicles traveling between 35 and 40 mph. Longer and wider highways and faster-moving traffic make it nearly impossible for older people to cross the road before the lights begin to change—and the cars on these roads are likely to be going so quickly that they cannot stop in time to avoid a crash. Crash injuries. While many pedestrians who are hit by cars traveling under 20 mph will survive the accident, even the effects of a non-fatal crash can prove life-threatening for senior victims. An elderly person who suffers fractured ribs may need intensive care or spend days attached to a ventilator, and seniors may never fully recover from a broken hip or head injury. Who Is Responsible for a Pedestrian Crash With a Senior Citizen in Tennessee? In many cases, both a driver and a pedestrian will share some portion of fault for an accident. Under Tennessee’s modified comparative negligence laws, a victim may be determined to be up to 50 percent liable for a crash and still receive damages from the other party. However, the amount a victim can receive will be reduced by the percentage of liability for the accident. For example, if you are awarded $100,000 but are 30 percent at fault, you will only receive $70,000 in damages. If you have been injured in a pedestrian accident, we can help you get the payment you deserve for your injuries, lost income, property damage, and pain and suffering. Fill out the quick contact form on this page to have the attorneys at GriffithLaw explain your rights in your free case evaluation, or order a free copy of our book, The 10 Worst Mistakes You Can Make With Your Tennessee Injury Case. What are the biggest considerations that can affect my pedestrian accident claim? People who are struck by cars while on foot are likely to suffer catastrophic injuries, and these victims are not always fairly compensated for their losses. The details and circumstances off the accident play a large part in whether the pedestrian will receive fair payment from an insurer or an at-fault driver. The type and extent of injuries. Pedestrians do not enjoy the same crash protection as drivers, and they rarely walk away from a collision. The greater the injuries suffered in the accident, the more potential compensation the pedestrian may be owed. The amount of lost income. The amount of time that a victim was unable to work due to the injury or recovery should be reimbursed. The extent of your medical treatment. If the accident caused you to undergo surgery, suffer painful physical rehabilitation, and require visits to specialists, your injuries may carry a higher value to insurers and injury courts. Details of the crash. The majority of pedestrian accidents involve vehicles, including cars, trucks, and motorcycles. The type of vehicle that struck you, as well as the speed at which the vehicle was traveling and the condition of the driver, will likely affect the outcome of the case. Your own auto insurance coverage. The type and amount of insurance that you were carrying at the time of the crash will likely affect your case (especially if you are having trouble collecting payment from an insurer). Liability for the accident. 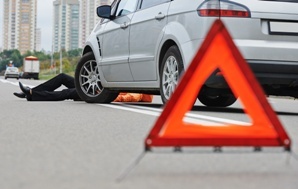 Tennessee accident fault laws prevent victims from collecting compensation if they are mostly to blame for an accident. In a car-pedestrian crash, pedestrians are rarely assigned the majority of fault for an accident, but they can still see a reduction in damages based on their portion of fault. Criminal charges for the driver. If the driver was speeding, drinking while driving, or otherwise breaking the law at the time of the crash, the pedestrian’s case is much stronger. A charge issued to the driver is related to fault and can make the driver’s portion of blame rise significantly (especially if the driver is convicted). Long-term effects of the accident. Pedestrians who suffer permanent complications of the accident, such as paralysis, disfigurement, disability, inability to return to pre-injury lifestyle, inability to earn a living, inability to live independently, or loss of enjoyment of life can be owed a significant amount in the form of pain and suffering damages. Death of the victim. If a person loses his or her life due to a pedestrian accident, the family has the right to file a wrongful death action instead of a personal injury claim. Family members can collect payment for the loved one’s lost future income, funeral and burial, medical bills, and other losses the victim suffered between the time of injury and death. The first step for many pedestrians injured by vehicles is to file a claim with the driver's insurance company. It is an insurance adjuster’s job to pay out as little as possible in each claim, and they have many tactics they use to reduce the amount given to victims. Firstly, they often gather as much information as they can that could be used to reduce the payout, such as taking a recorded statement from a victim who has not fully recovered. Second, they may comb through the victim’s social media to find pictures or messages from the victim that can devalue the claim, such as a post to friends and family using the words “I’m fine.” Finally, they may offer an extremely low settlement to a severely injured victim, allowing the victim to trade fair compensation for a fast payment. If you have been hurt in a pedestrian crash, the attorneys at GriffithLaw can get you the amount you deserve for your medical bills, lost income, and pain and suffering. Fill out the quick contact form on this page to have us explain your rights in your free case evaluation, or order a free copy of our book, The 10 Worst Mistakes You Can Make With Your Tennessee Injury Case. Are there laws protecting pedestrian on curbs and crosswalks in Tennessee? Yes, and for good reason. According to the National Highway Traffic Safety Association (NHTSA), about 5,000 pedestrians are killed as a result of collisions with motor vehicles every year, and nearly ten times that number suffer injuries in these kinds of accidents. Tennessee has an unfortunately high rate of pedestrian accidents, with drivers overwhelmingly at fault for causing injuries. But what people may not realize is that there are also laws governing a pedestrian’s actions near roadways, and failure to comply with these laws can make it more difficult to get injury compensation. Tennessee law states that pedestrians have the right of way at all intersections and driveways. However, pedestrians must exercise reasonable care for their own safety and the safety of others while crossing the road or traveling in traffic lanes. 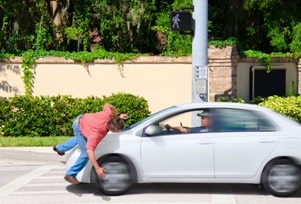 Failure to follow safety laws can result in civil infractions against the pedestrian, and can also affect the amount that he or she is awarded an injury case. Walking along the roadside. Under Tennessee law, it is not legal for a pedestrian to walk or run in the road if an adjacent sidewalk has been provided. If there is no sidewalk, pedestrians are required to walk facing the direction of traffic and as far onto the shoulder of the road as possible. In some cases, pedestrians are forced into the road because the sidewalk is under construction, a store has blocked the path with signage, or a lack of maintenance has made the sidewalk unusable. An attorney should examine the facts of your case to determine if one of these parties may share legal responsibility for the accident. Pedestrian signals. Tennessee law requires that all pedestrians who have a Walk signal proceed across the roadway responsibly, and stay on the curb when the Don't Walk signal is present. No pedestrian may start to cross the roadway if the Don't Walk signal has started flashing. Crossing outside of an intersection. It is not illegal for a pedestrian to cross a roadway outside of a designated intersection. However, pedestrians crossing mid-block are required to yield the right-of-way to vehicles traveling on the roadway. Pedestrians are forbidden from leaving a traffic island or curb into the path of an oncoming vehicle unless the vehicle has enough distance to stop safely. Crossing in front of a vehicle. Pedestrians must always look both ways before starting across the roadway. They are also required to cross at least ten feet in front of a vehicle that is in the process of dropping off passengers (such as school buses, city buses, and even passenger cars). Pedestrians who do not follow this law can be charged with a traffic offense and be ordered to pay fines. Soliciting. State law prohibits any soliciting on public streets, corners, alleys, and other traffic lanes in Tennessee. If you were injured while hitchhiking, asking for financial help, work opportunities, or other contributions while standing on the roadway, you may be found to share fault for the crash. If a jury believes that a pedestrian’s actions contributed to his injuries, the pedestrian’s damages may be lowered in proportion to the amount of fault. If the pedestrian is found to be more than 50% at fault, he or she may not recover any damages at all. That is why it is vital for pedestrians who have been struck by cars to speak with an accident attorney who is well-versed in traffic law and can investigate the details of your claim. If you have questions after being injured in an accident, the attorneys at GriffithLaw will listen to your story and explain your rights in your free case evaluation. Fill out the quick contact form on this page to get started, or order a free copy of our book, The 10 Worst Mistakes You Can Make With Your Tennessee Injury Case. Car accidents involving pedestrians are far more likely to cause significant injuries than two-car collisions—and unfortunately, pedestrian and bicycle accidents are on the rise. Many victims will suffer head injuries, broken bones, amputation, paralysis, severe disability, or even death in these crashes, even if the driver is traveling at relatively low speeds. Pedestrians can greatly reduce their risk of permanent injury by knowing what to do in the hours and weeks after an accident has occurred. Exchange contact information. If you have not lost consciousness, make sure you tell the driver of the car your name and get his name and contact information as well. If the driver has left the scene, seek help from anyone who passes or stops. Get off the roadway and find a safe place to assess your injuries. If nobody is nearby, call 911. Go to the hospital. It is important to seek emergency medical care even if you think you are not seriously injured. A blow to the head can cause disorientation, and the shock of being in an accident can cause victims who may be gravely injured to believe that they are fine. It is always better to be safe than sorry, and going to the hospital will add evidence to your injury case if you need to go to court. Report the accident to the insurance company. Be sure to report the accident to your insurance company within a few days of the crash. When it comes to car insurance, Tennessee is a "fault" state, meaning victims can file injury and property damage claims with their own insurer, the insurer of the at-fault driver, or through a third party. If you seek compensation from the at-fault driver, you will likely make a claim against his liability insurance. Determine fault. One of the biggest problems in getting compensation for injuries after a crash is determining who was at fault. The costs of injuries and losses when a driver hits a pedestrian are often very high, so both insurance companies involved have a vested interest in blaming the other party. Most courts determine fault by carefully examining which party was the most negligent. For instance, a drunk driver who strikes a biker who was following all of the traffic laws would likely be found negligent. On the other hand, a pedestrian who ran into the street instead of using a crosswalk may be considered negligent. Finally, both the driver and the pedestrian can be found negligent if they were not exercising reasonable care on the road. Insurers can deny claims if they have evidence of negligence, such as the police report of the accident, witness statements, or even your own words to an adjuster when making the claim. Contact an attorney. If an insurance company is refusing to pay for your injuries or has assigned you an unfair percentage of fault, you may want to consult with a personal injury attorney. An experienced lawyer can conduct a detailed investigation into the facts of your case, deal with the insurance company on your behalf, and take an at-fault driver to court to get full compensation for your losses. Get a Free Evaluation of Your Case Now! Victims have only one year after the accident to file a personal injury lawsuit in Tennessee, and just three years after the accident to get payment for damage to property. As the time limit to file for compensation is so short, it is best to discuss your legal options with an injury attorney as soon as possible. Our legal advisors can listen to your story and examine your case carefully to determine the best way to move forward. Contact our legal team today to schedule a free, no-obligation consultation.